Voter turnout typically hovers in the low to mid 20 percent range on the Kenai. An election stakeholders group is looking for ways to increase that number. Back in January, the Kenai Peninsula Borough Assembly adopted a resolution creating an election stakeholders working group. That group is charged with trying to figure out how to get more people to the polls and what, if any, changes need to happen to get them there. The group has been meeting since February. And while there’s still a lot left for them to do, some general ideas are emerging. At the top of the list is accountability. Brenda Ahlberg, the borough’s community and fiscal projects manager, is part of the working group. “People want to be reassured that it is a secured system whether it’s going to be engaging additional technology or the understanding that there will always be a paper ballot for accountability. That’s been one of our biggest topics," says Brenda Ahlberg, the borough’s community and fiscal projects manager. One potential change could be to move to a hybrid system, where every registered voter receives a ballot in the mail. They could return the ballot that way, or show up to a polling place on election day or before. Borough clerk Johni Blankenship says that system has been used in Anchorage for its last three election cycles. While the work group is happening at the borough level, clerks from the borough’s cities are also taking part so that if any changes are made, they’ll be as uniform as possible for voters, regardless of their location. Assembly member Brent Hibbert is also part of the election stakeholders group. He says the assembly will be looking forward to taking up any recommendations that can increase voter turnout above current levels which, depending on the year and the issues on the ballot, hover in the low to mid 20 percent range. The stakeholders group will continue meeting through July and intends to have a report ready for the assembly in August. Blankenship says they’re looking for as much feedback from the public as they can get in that time. She, Ahlberg and Hibbert made their comments on this week’s episode of the Kenai Conversation. Ballots for this fall’s municipal elections have been finalized, and most of the heated campaigning will be left for elections further up the political food chain. 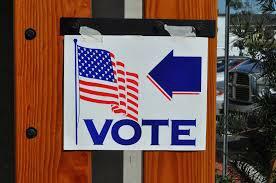 We kick off election season coverage this week on the Kenai Conversation.